Tom is "THE Doctor. The definite article you might say." As such, I have dearly wanted his autograph. I have acquired a few of them. 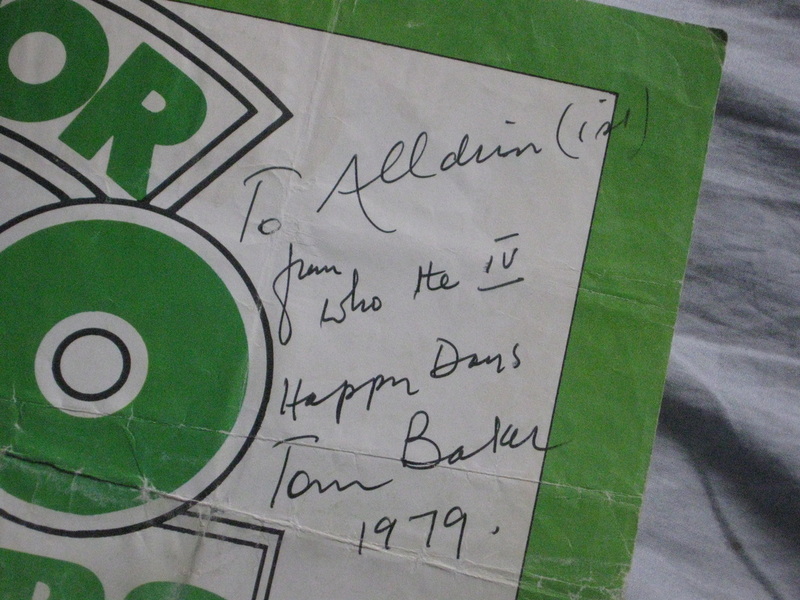 The first was from an ebay auction of a poster from the Doctor Who Discovers.... range. 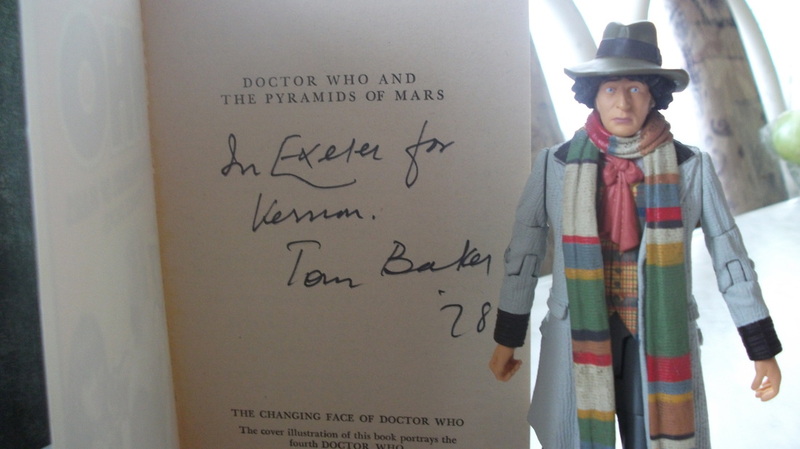 Another was an auction for a novelisation of Pyramids of Mars. 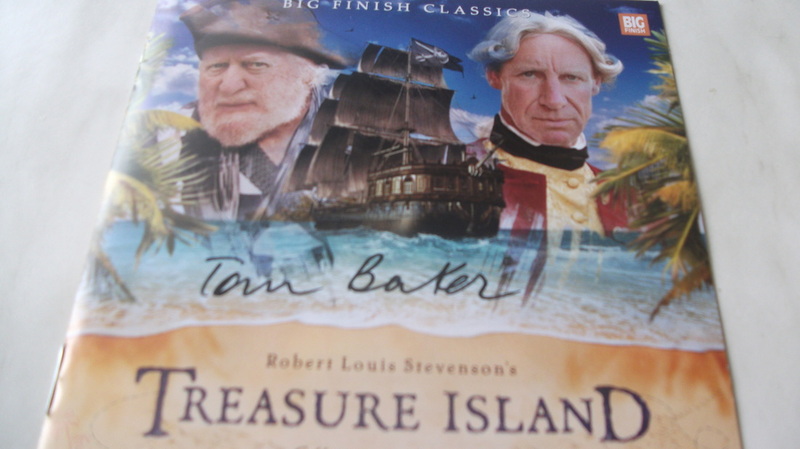 The third was a first day cover bought from scificollector.co.uk whilst the fourth was the Big Finish adaptation of Treasure Island. Tom was Long John Silver and signed all the pre-orders. So the two ebay auctions may be disputed (though I'm confident they're genuine), and the latter two come from reputed companies so they're authentic.